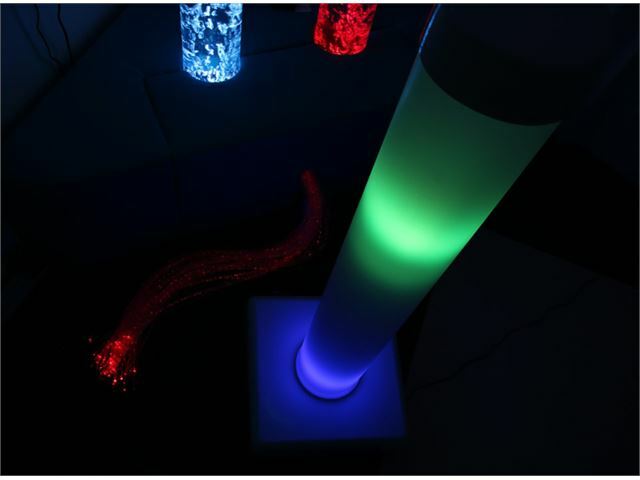 The new Disco Tube uses technology that can detect sounds - clap, stomp, shout and sing to the tube and it will react with various colours to the noises you make. 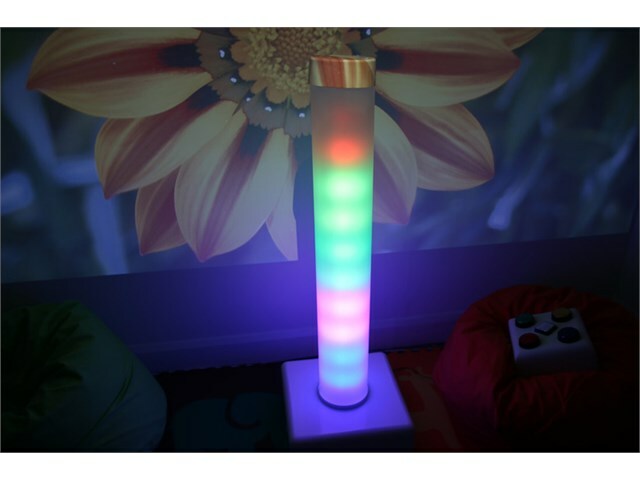 The colours move along the length of the Disco Tube as it’s interacted with, using it in a sensory environment or interactive play area adds a fun and exciting way of engaging with sounds or music. Standard lighting colours: Blue, Green and Red. 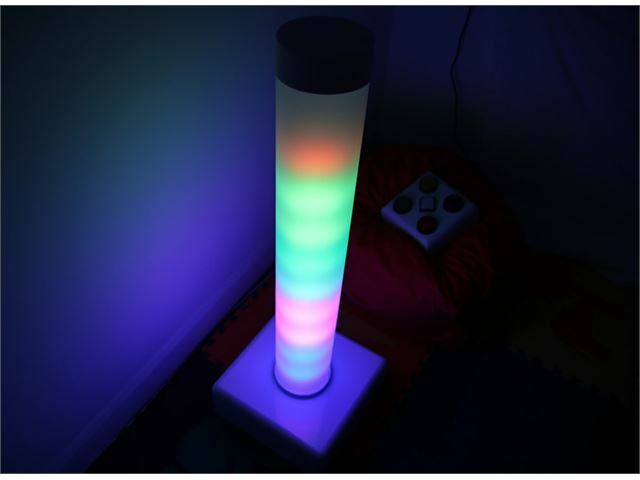 Sound reactive – clap, stomp, shout and sing. 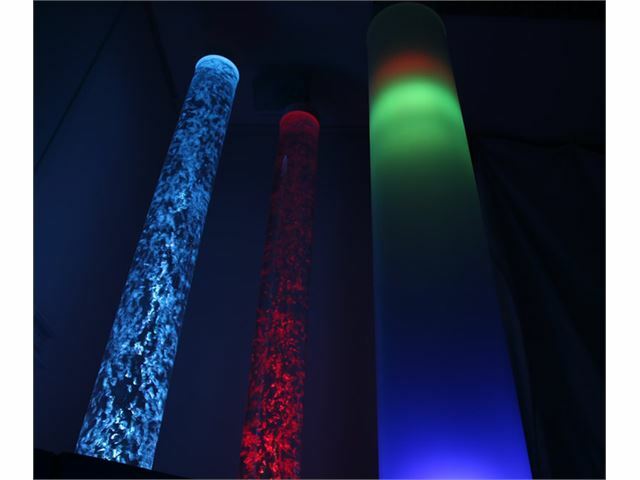 Safe, low voltage long lasting LED technology. Cool to touch, no need for fans. No servicing or maintenance required. Available in two tube sizes: H 1m or 1.5m with a 15cm diameter. Dimensions: H 16cm (plus tube height) x W 38cm x D 38cm. Please note: delivery for the Disco Tube within the UK is free of charge. The product has a 28 days return policy. Please try the product immediately on receipt and report any faults, problems or queries within 5 days.